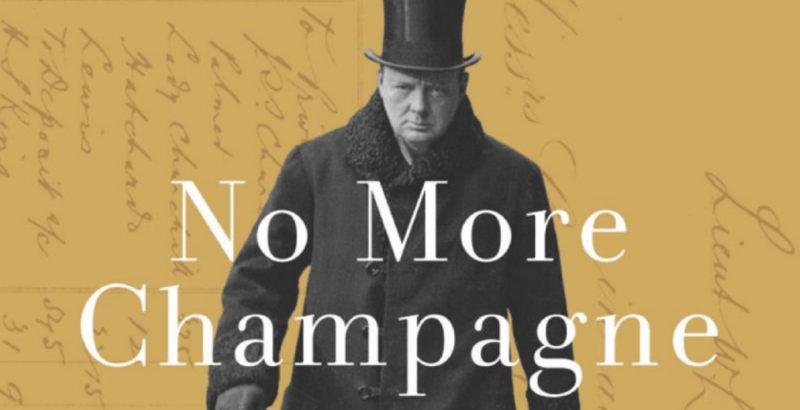 David Lough, No More Champagne: Churchill and His Money. Picador, 2015, 534 pages, $32, Kindle $16.99. In his first speech to Parliament, Churchill said that the previous speaker, “instead of making his violent speech without moving his moderate amendment, [should] have moved his moderate amendment without making his violent speech.” I was reminded of this reading No More Champagne, a well-written, deeply researched text about Churchill’s finances, preceded by an introduction suggesting that Churchill’s financial troubles affected his politics. Churchill, Mr. Lough writes, “ran up huge personal debts, gambled heavily, lost large amounts on the stock exchange, avoided tax with great success and paid his bills late.” That’s been known for years, but the level of detail here surpasses previous accounts. Readers will marvel at how much one man could accomplish, amid financial difficulties that might have overwhelmed a lesser person. The book excels when it sticks to dispassionate analysis of Churchill’s finances—the author’s area of expertise. However, the argument port forth in the short introduction is highly debatable. That the rest of the book doesn’t substantiate what the introduction suggests is to its credit. Lough states that “Churchill’s Liberal colleagues…suspected that he remained a Tory at heart.” He might have added that they were wrong. Again, see Addison, Gilbert, or Churchill himself just before the switch, confessing to a friend: “I am an English Liberal, I hate the Tory party, their men, their words & their methods. I feel no sort of sympathy with them.” Mr. Lough also should have mentioned that Churchill had never forgiven the Tories for casting his father out of high office after he resigned as Chancellor of the Exchequer in 1886. The book’s in-depth research actually contradicts this theory. The inheritance (which, as is well known, enabled Churchill to buy Chartwell) included Irish property for the Carnlough Lime Works and attached worker cottages. The book finds that while the cottages in theory generated £900 a year, there were vast rent arrears by 1931. Churchill, refusing advice to sue his tenants or evict them, sold each cottage to its occupants for a guinea (about $5) each. Some propertied landlord! The introduction continues: “exceptional risk-taking unites Churchill’s financial dealings and his political career.” It’s certainly true that Churchill took exceptional financial risks, but the book offers no evidence for how that “unites” with his political career. The closest Mr. Lough comes to an example of “exceptional risk-taking” in Churchill’s political career is this statement: “Throughout the Second World War many of those around Churchill worked hard to tame his risk-taking, their success ultimately evidenced by his willingness to delay the Allied invasion of Normandy until the summer of 1944. Churchill’s attitude to his own finances underwent a similar conversion over the course of the war.” Are we to believe that Churchill had to be “tamed” not to invade France in 1943? In fact, Roosevelt, Churchill and their military staffs together postponed the invasion until 1944, for sound military reasons. The simple fact is that Churchill’s finances emerged considerably healthier after World War II. Thanks to his fame, his “brand,” to use a current term, was by then far more valuable. The author shows in extensive detail how Churchill shrewdly took financial advantage of this, but before the war he had no comparable opportunity. The book itself is worth reading for its many fresh details. For example, Churchill was not accurate when he wrote in My Early Life that his father’s fortune “almost exactly equaled his debts.” Lough shows (contrary to biographers Manchester and Jenkins), that Lord Randolph’s estate was £75,971, and that £54,237 ($7 million today) remained after all his debts were paid. It is widely known that Churchill was one of the highest paid journalists during his “wilderness years” of 1929-39; Lough demonstrates that he was also the highest paid war correspondent in 1899-1900, during the Boer War. Another fascinating story is how Churchill avoided income tax on his writing while Chancellor of the Exchequer (1924-29): he “retired” as an author, so that his royalties in that period were treated as non-taxable capital gains. (His “retirement” lasted only eighteen months when his finances were so bad that he signed contracts and took advances for completing The World Crisis, but his royalties remained untaxed.) He “retired” again after World War II started, when his salaries as First Lord (£5000) and Prime Minister £10,000) were taxed at 90% or more. Lough devotes two valuable chapters to Churchill’s complicated finances during the war. At the height of the Blitz in 1940, a new court decision for authors ruled that the sale of an author’s copyright rather than receiving royalties would be treated as a capital transaction, not income, and hence not taxed. His lawyers and his friend Brendan Bracken were constantly at odds with the Inland Revenue, trying to take advantage of this loophole without selling his copyrights. What saved him, Lough explains, was selling two film rights—to Marlborough and A History of the English-Speaking Peoples—for £50,000 each ($5.6 million in today’s money), in 1943-44. These were also capital gains, not then subject to tax. As these examples show, Lough’s book is an admirable piece of work and, aside from his introductory attempt to link finances to politics, a valuable addition to our knowledge. As private as some may regard personal finances, the book does not detract in the slightest from Churchill’s greatness or humanity. It is an absorbing story about one extraordinary man ensuring his financial survival with one hand, while warning about the danger to, and then leading the fight for, Western Civilization with the other. Uniquely, Churchill did both. Michael McMenamin is co-author with Curt Zoller of Becoming Winston Churchill, the Untold Story of Young Winston and his American Mentor. He is a contributor to Finest Hour, journal of The Churchill Centre, where for the past seventeen years he has written the column “Action This Day,” chronicling Churchill’s life at 25-year intervals.